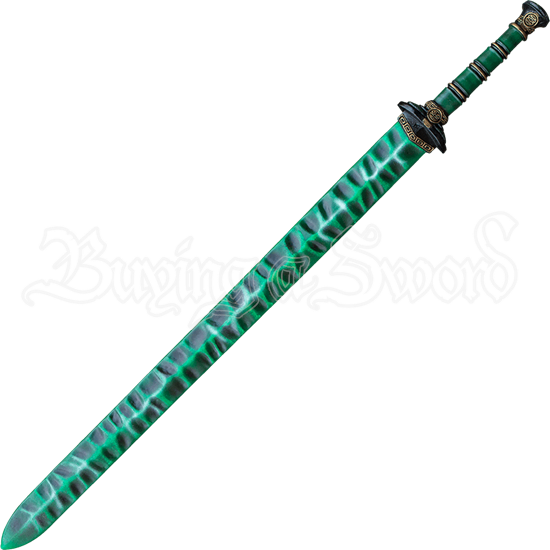 An elegant blade forged from a rare viridian colored metal, the Viridian LARP Jian is a sword that knows no equal. Its rough-hewn blade is the only indication of its violent nature, for it excels at defeating the enemies it faces. The blade of this LARP weapon is made from a closed cell foam that encases a flexible fiberglass core and has been crafted to resemble a roughly forged green metal. A Kevlar tip protects the point of this blade from accidentally puncturing the foam around it. 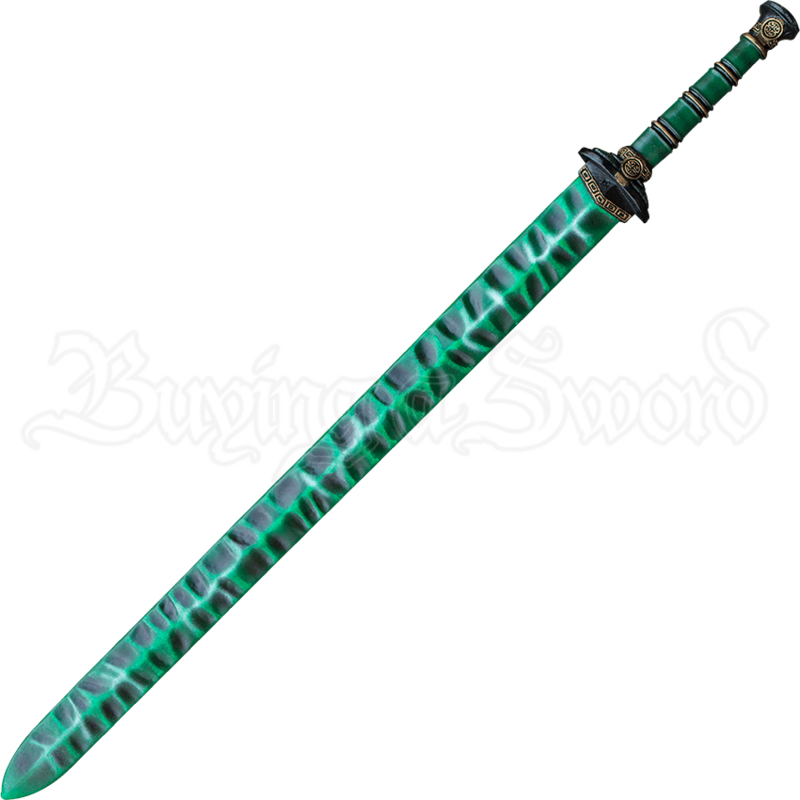 Like the blade, the hilt of this weapon features a predominant green tone, with the handle being a rich emerald color. The guard and pommel of the hilt display golden patterns and knotwork that are popular in Chinese decorations. Add this durable foam weapon to your LARPing arsenal and dominate the battlefield when you enter combat with it! The Viridian LARP Jian has an overall length of 39.4 inches. Please be aware that this measurement can vary slightly, as it is a hand-made item.